According to Associated General Contractors of America, almost half of the construction companies that are in business at present will cease to exist in six years. This shows how construction has become a risky business nowadays. Among other issues, labor difficulties, equipment problems, and material shortages can cause a contractor to fail in business. So nowadays to be sure of a contractor’s ability, most project owners require that their contractors have a surety bond. A surety bond is simply a binding agreement that has been signed by a surety company and a contractor. The surety bond guarantees the completion of a contract or project in case the contractor defaults. Essentially, the surety company will complete the project in case the contractor is unable. 1. Bonding improves the contractors’ reputation. Besides proving to the clients and potential customers that the contractor is in a perfect financial situation, a California contractor license bond enhances the credibility of the contractor. The consumers always trust that working with bonded contractors; their projects won’t halt midway. Again, it guarantees payment of the sub-contractors, suppliers, and laborers even if the contractor is unable to pay them. This results in trust and good working relationships. 2. Bonding protects the consumer. 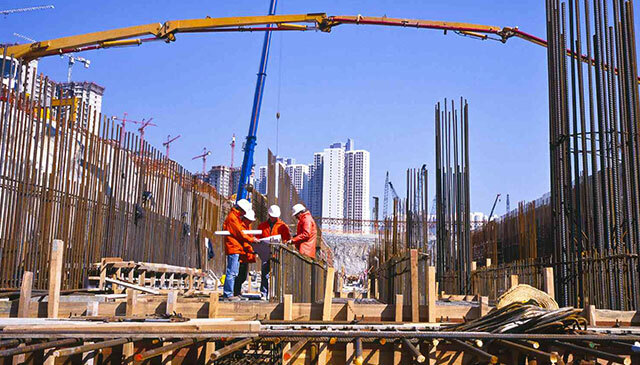 With a surety bond, even if the contractor fails to complete the projects for one reason or another, or if they fail to pay their subcontractors, laborers, and suppliers, the surety will often come in handy to complete the projects and take care of any expenses. So this means that the consumer is also relieved from having to incur financial loss resulting from legal claims filed by the unpaid subcontractors, laborers or suppliers. 3. Bonding binds the contractor to the surety. This is a significant advantage because the contractor can receive professional advice from their financial company’s lawyers, estimators, engineers and other professionals. This fact means that the contractor and their financial company will always be working together, further implying that chances of a problem arising are very minimal. The surety bond can also offer financial assistance to the contractor in case they are stuck. This decreases the likelihood of the project stopping due to monetary issues. Also, in the case of some dispute with the obligee, the bond will often give some form of protection to the contractor. This is a great advantage to the contractor. If the contractor frequently makes the surety aware of every tender result, then they can always submit more other tenders which result in more contracts and revenues. It is also important to note that the contractor will only be required to pay the bond limits used as opposed to paying for the entire facility. This is one significant advantage to the contractor. • With a surety bond, the contractor will not have any chances to divert funds from the project. Besides ensuring the project is done to completion, this also means that the contractor can be trusted. • At times, the bond facilitates the use of competitive bids, and this often lowers the construction costs. • The bond serves as an intermediary to whom the consumer can always present their grievances and complaints. Clearly, these are enough reasons why contractors need a bond. The benefits that come with a surety bond are enjoyed by both the contractor and the client.